David Muir is one of the names which is always on headlines. Muir is an American Journalist for ABC broadcast television network. He currently appears as the anchor of ABC World News Tonight. You might have learned a lot about this 43-year-old handsome hunk, but here we have brought to you six most amazing facts about him which you need to know. So, let's get started. 1) Sexual Orientation: Gay or Not? It was the talk of the year 2015 when the rumor surfaced about David Muir being a gay. This rumor was added with support after he was spotted along with his co-worker Gio Benitez holding hands and going to gay bars. However, the rumors faded after they apparently minimized their appearance in public. Besides, the rumor is still a mystery. No one exactly knows if the journalist really is a gay. Hope someday David addresses on the matter revealing to the world the truth about his sexual orientation. People speculated David and Gio to be an item, but later on September 17, 2015, news came that Gio Benitez was engaged to Tommy DiDario. This news didn't help David Muir and him being gay was even more speculated. Gio proposed Tommy in a lovely way in front of Eiffel tower. Within a year of their engagement, the couple officially got married on 16 April 2016. Here's the video of their wedding. Enjoy watching! People usually think that there is some connection between the journalist David Muir and the famous naturalist John Muir as they both share the same last name. But they are being mistaken. Though David Muir is famous for his news coverage about Yosemite National Park, He is not related to the naturalist John Muir in any case. John Muir, who died in 1914 was a legend of the national parks initiative. John Muir had a particular affection for Yosemite, and coincidentally, iApple’s newest version of OS X is called Yosemite. 9/11 was unquestionably the black day for the United States. David Muir was a part of the team who traced the path of the hijackers to cover them. At that time every news channel honored him for his brilliant work. He was awarded by Prestigious Edward R. Murrow Journalism for covering 9/11 hijackers. A few years back in 2009, TMZ declared David Muir to be the “Brat Pitt of News Anchors.” It's not Brad Pitt guys, it Brat Pitt. David's handsome personality made him pretty popular among female viewers. However, handsome personality is not the only character that made girls crazy for him. David Muir is a complete package of talent, hard work, and confidence which are the essential ingredient for a person to be a world-renowned journalist. David holds a degree from Ithaca College in Ithaca, New York. Not only this, but David is also fluent in Spanish. David Muir has coverage of events in various Politico cites: Haiti, Fukushima, Tahrir Square Somalia, and Mogadishu stands as the highlights of his professional career. In 2014, ABC News Channel decided to replace the former ABC World News anchor Diane Sawer. 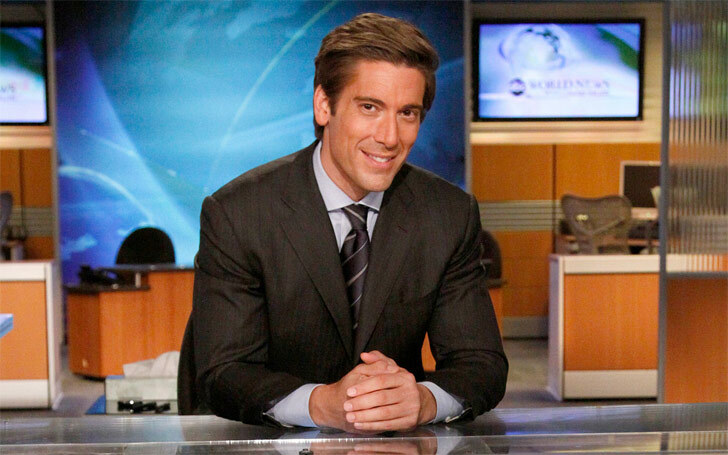 Here's the video in which you can see David Muir talking about his takeover of ABC World News. Muir took over anchoring duties of Diane Sawyer on ABC World News on the 1st September 2014. David is the substitute anchor and weekend anchor of the program. Besides, he appeared on other numerous ABC news programs including 20/20. David also worked as the lead correspondent covering the 2012 Presidential election. In addition, David reported the 2008 Summer Olympics in Beijing and the 2010 Winter Games in Vancouver. We hope you like the facts we brought to you. For more interesting facts like this, don't forget to visit Frostsnow. Who is Young Viggo Mortensen married with? How successful is Young's earning? 56 Years Sharon Lawrence Is Living Happily With Her Husband Tom Apostle, Do they Have Children?